Rougette - Zuercher & Co.
Rougette tastes mild when it is young and increasingly finely spiced as it matures. The creamy white to golden yellow cheese has a particularly creamy consistency. 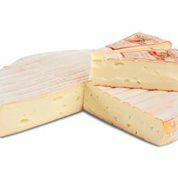 The appetizing red-white rind gives it its characteristic flavor.